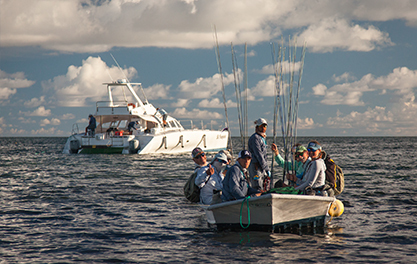 The Alphonse Invitational is a celebration of fly fishing that happens for one week of every season. 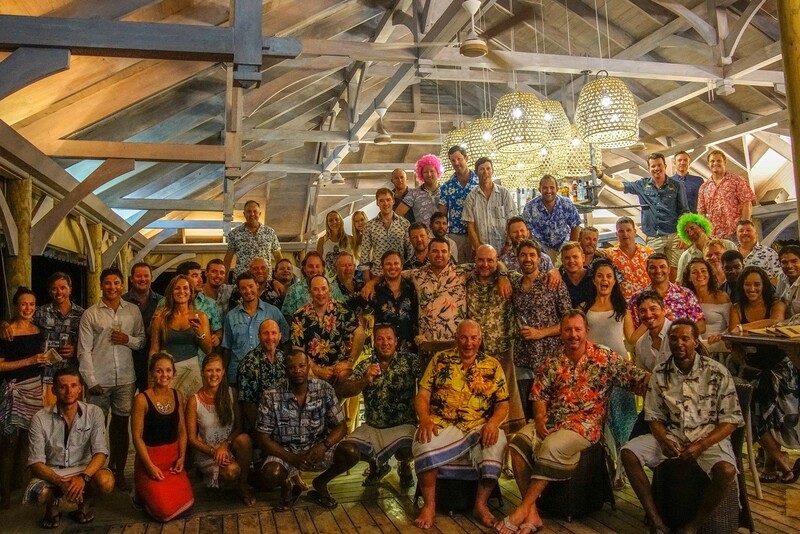 This week saw the 3rd annual running of this event and it was bigger than ever. 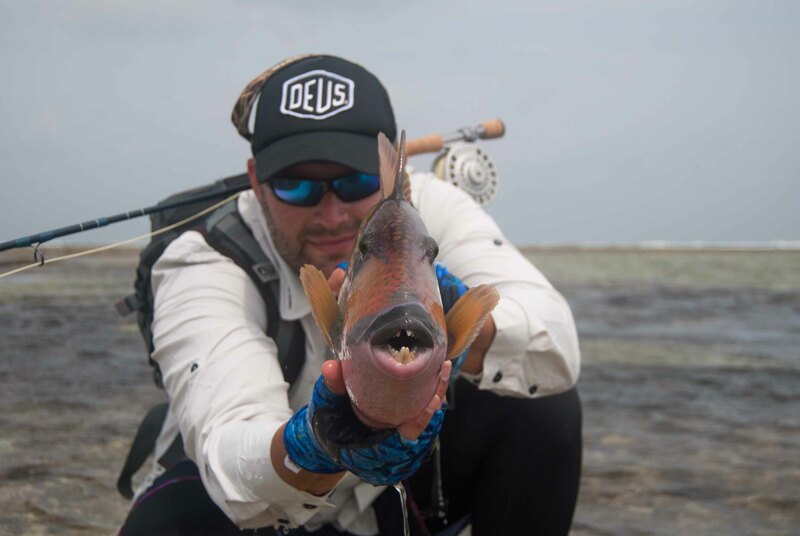 18 lucky anglers were invited to take part and with a number of ex-professional sportsmen in the group as always the fishing was highly competitive. 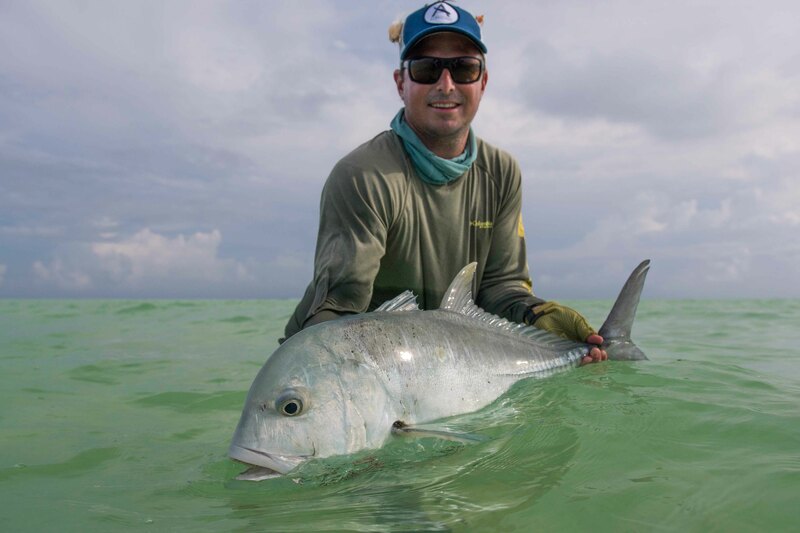 The group were rewarded with favorable conditions and optimal tide times dividing each day equally with fishable ebb and flow. 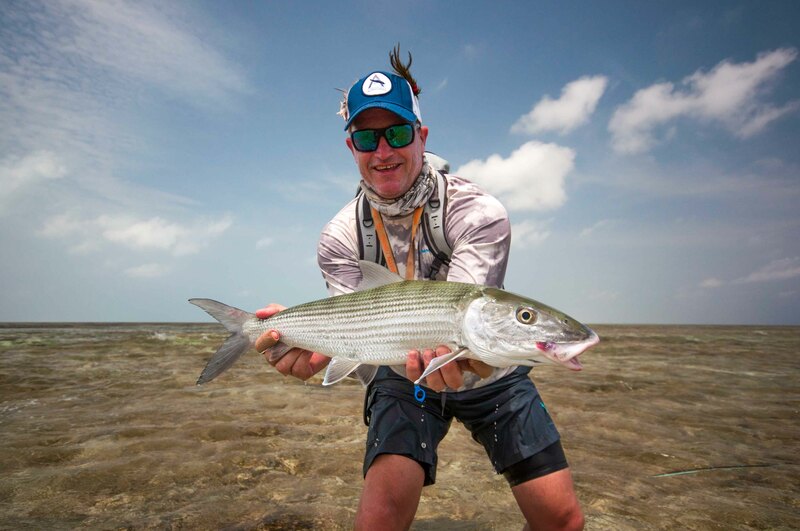 Strong at times was the northwesterly wind but ultimately conditions assisted the spring tide with flushing the lagoon, making for the cleanest water seen in weeks. 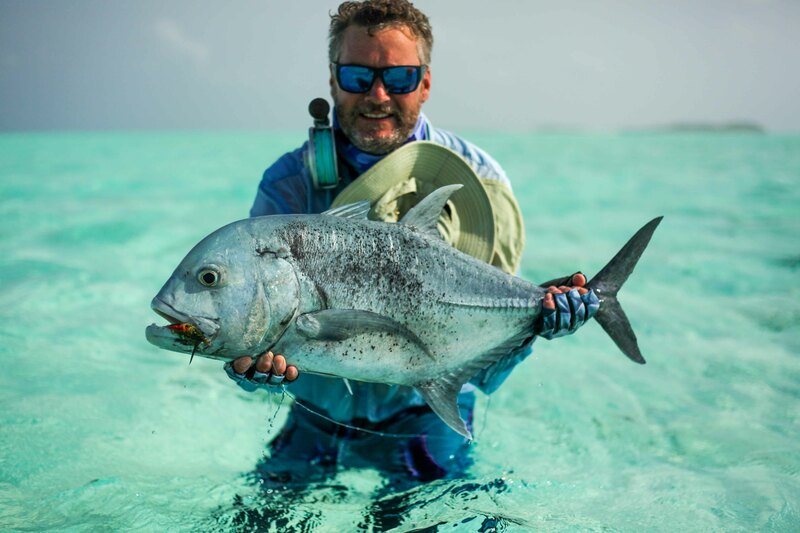 As usual the competition would be decided by fish length and there were prizes awarded for the biggest fish for each of Alphonse Island’s traditional trophy fish. 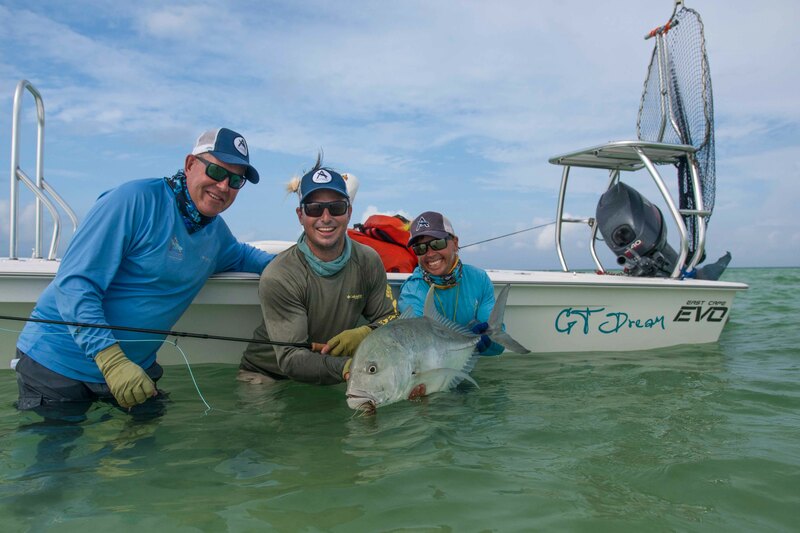 Along with a full year’s worth of bragging rights prizes for each category were sponsored by Thomas & Thomas, Yeti Coolers, Cortland Line, Shilton Reels and Sightline Provisions, with Flyz inc. providing fly packs to each angler. 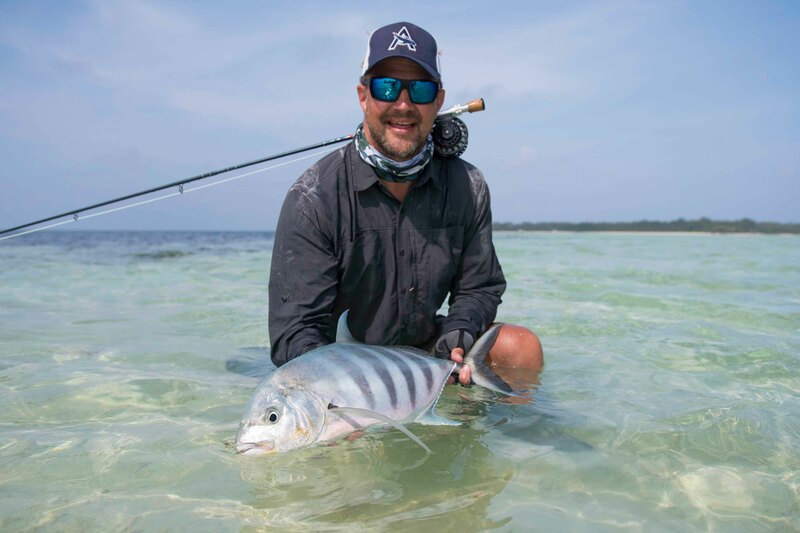 There were a good number of bonefish caught and ultimately the largest bonefish came in at 61cm landed by Justin Kemp. 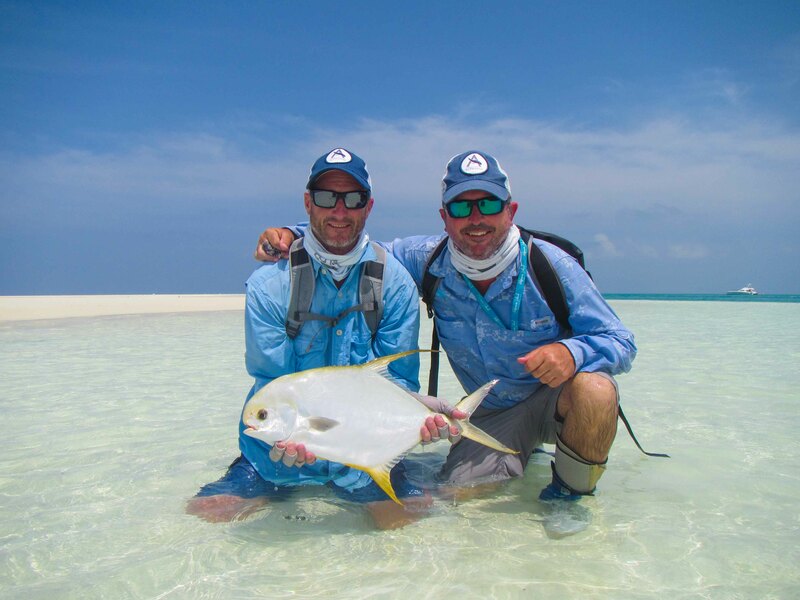 The tricky triggers were proving to be difficult as usual and no one managed to tame a yellowmargin. 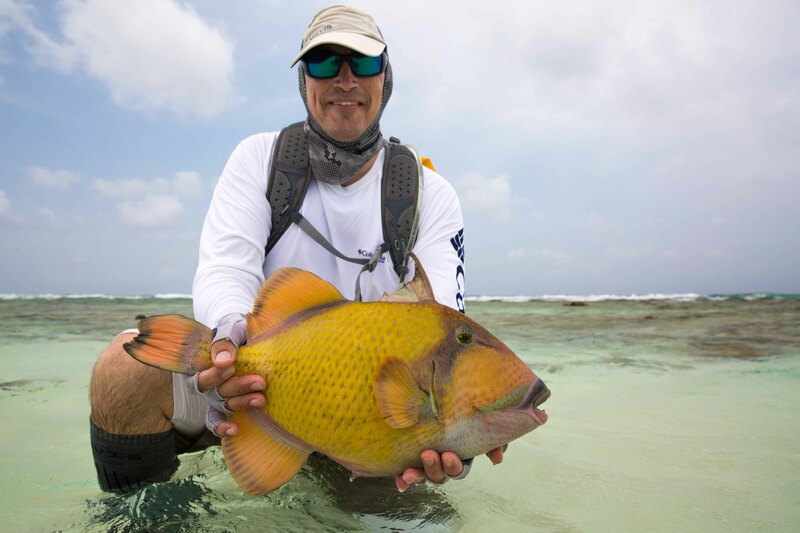 There were however seven moustache triggerfish brought to the net with the best measuring 52cm caught by Richard Strachan. 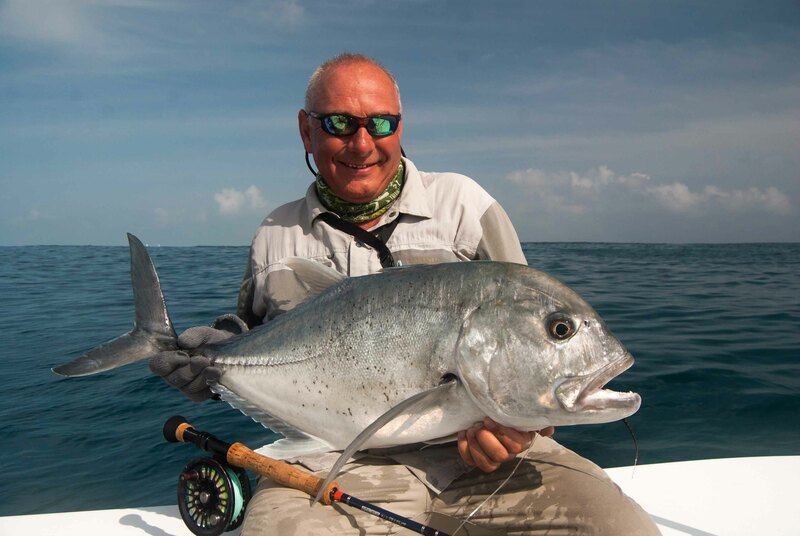 The only man to ‘touch gold’ was Ross Elliot who managed to secure the prize for Indo-Pacific permit in some style by landing a beautiful 57cm fish. 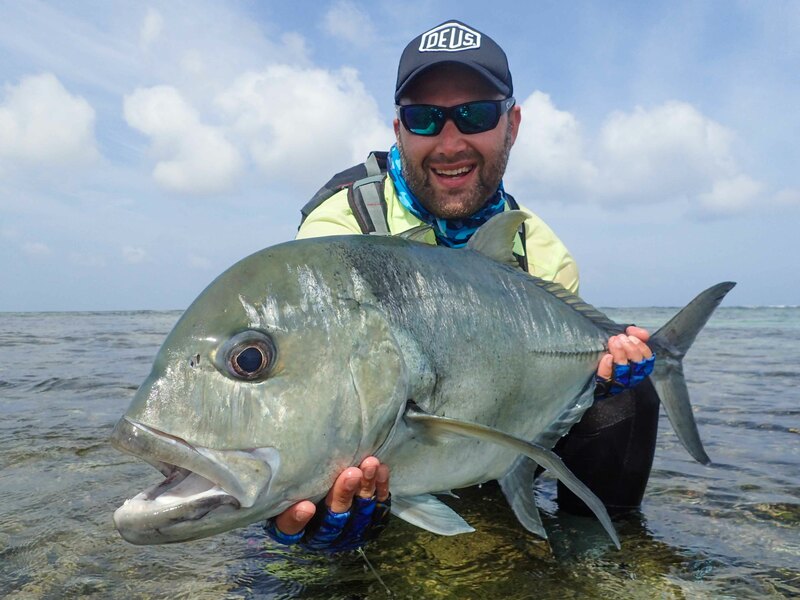 While a good number of GT’s were caught in the surf, the majority were found just offshore demolishing fusilier and other baitfish and the competition climaxed beautifully on the final day ‘GT Friday’ with 10 fish caught. 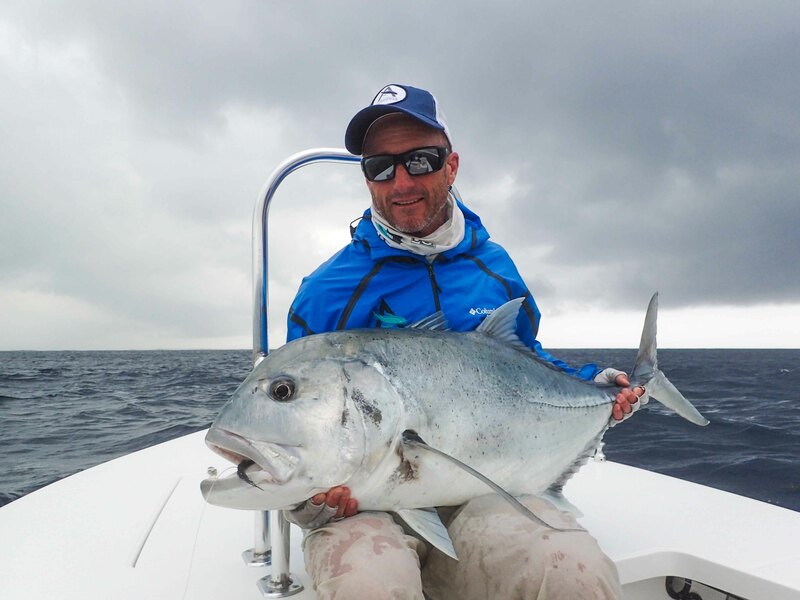 Ryan Wienand’s personal best fish at 100cm topped off the best Giant Trevally week of the season so far with number 17. 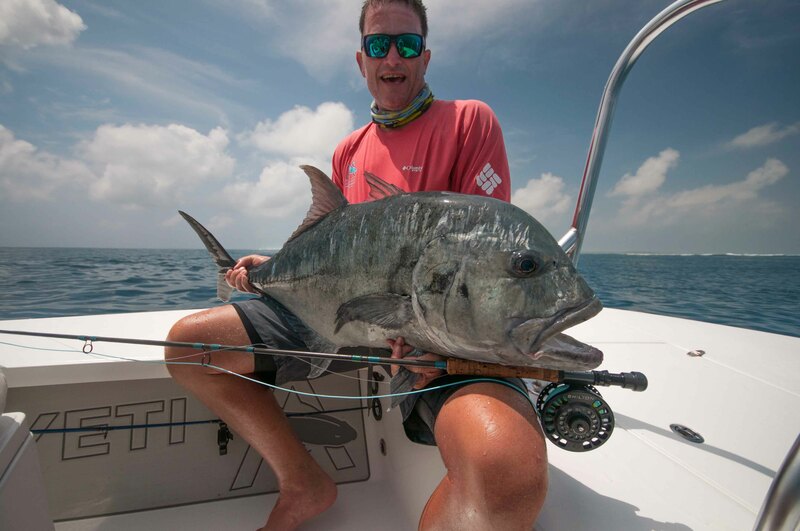 However, Ross was at it again and landed the biggest GT of the week at 103cm this combined with his permit led him to be awarded the title of ‘Angler of the Week’. 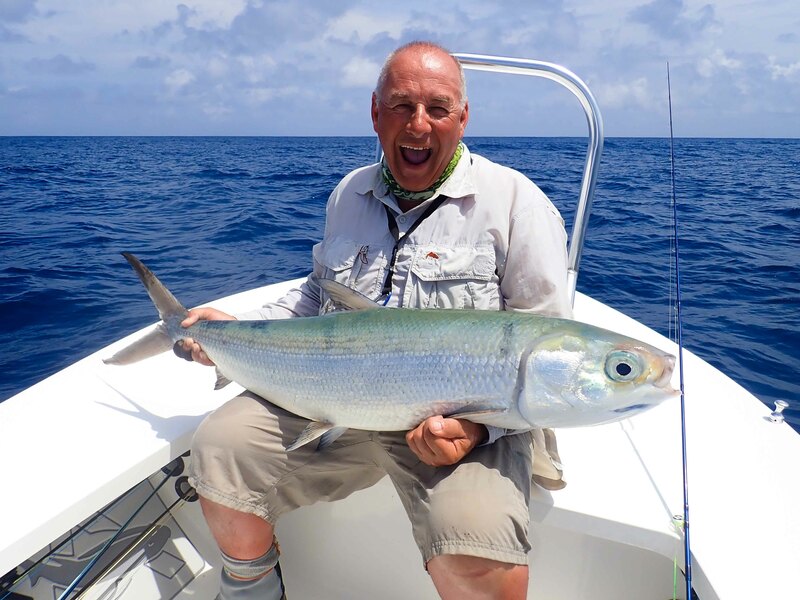 The eastern surf line produced some action when a massive 104cm milkfish came to the net, tamed by John Stott, crowning him the ‘Milkman’ of the invitational. 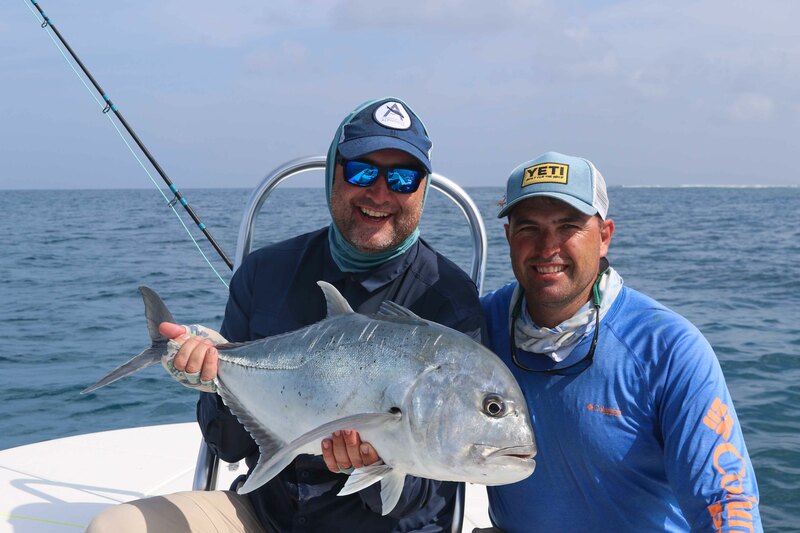 Offshore both Yellowfin tuna and Sailfish were fed flies with the best Sailfish being 190cm, which was landed by André Oberholzer who was closely followed by Mike Harker’s fish of 184cm.